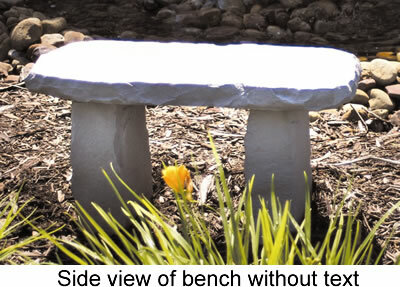 Home > Outdoor Living > Garden Benches > Bench - Do Not Go Where The Path..
Made of cast stone, this bench is weatherproof and has year-round durability. Sturdy support legs and weatherproof adhesive are included.This bench makes a great centerpiece to any garden, sending a message as well. Made in USA. Engraved in bench: Do not go where the path may lead, go instead where there is no path and leave a trail.